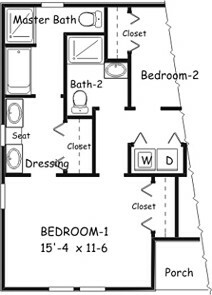 This floor plan has a corridor kitchen layout which is open to the living room. 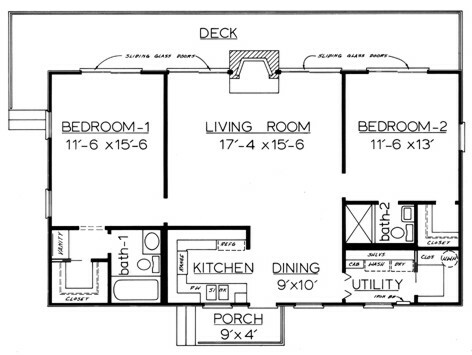 Alternate floor plan, which is included, has an expanded bath and is an affordable plan. 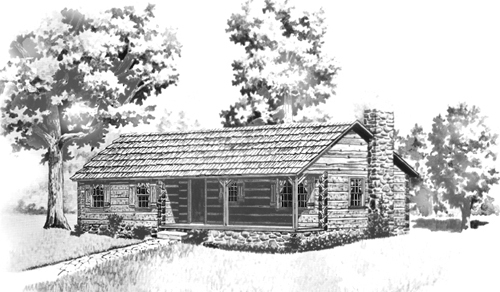 This Country home plan with its three bedrooms and two baths creates an affordable floor plan for young families or empty nesters. Conveniently located washer and dryer in the hall closet gives easy access to the bedrooms. The corridor kitchen layout is open to the Living Room. Alternate floor plan is an affordable plan. The alternate floor plan uses the corner bedroom to expand the master bath to incorporate a double lavatory and separate shower.